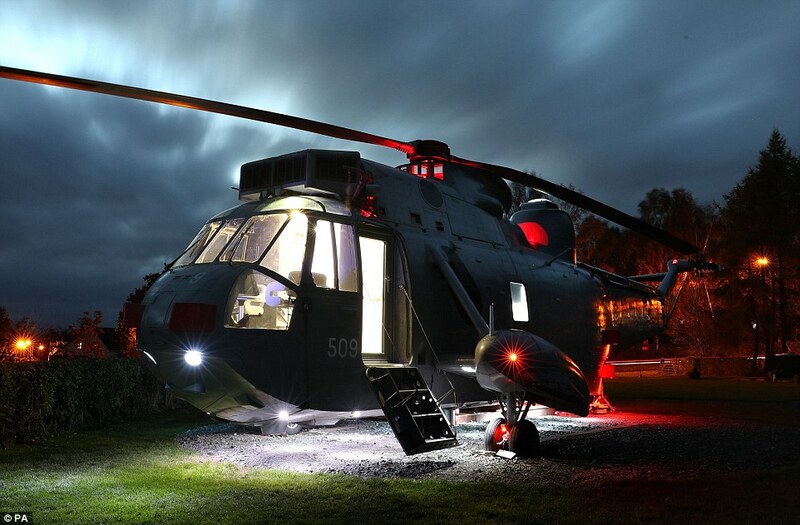 We’ve seen lots of airplanes that have been converted into hotel accommodations, but this is the first helicopter to make the transition. 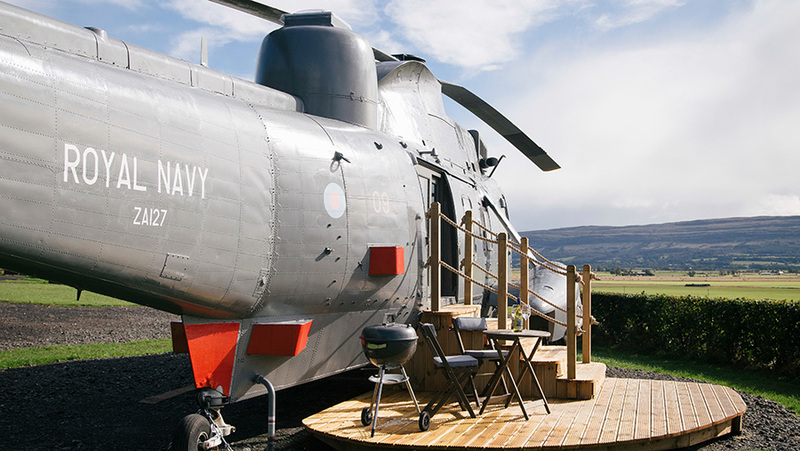 The folks at Helicopter Glamping in Stirling, Scotland purchased a decommissioned Sea King search and rescue chopper from the Royal Navy for only £7,000 and transported it by road to a pastoral campsite at Thornhill near Stirling. 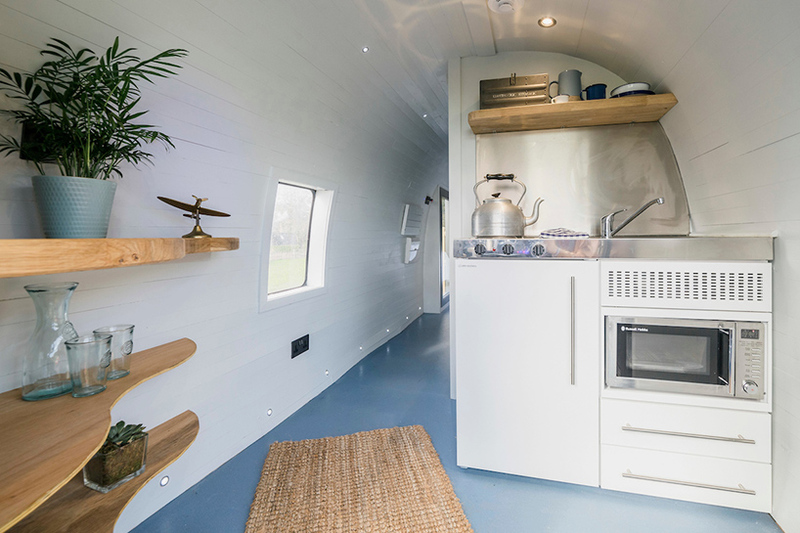 After restoring the helicopter’s exterior, they transformed the interior space into a comfortable apartment complete with kitchen and bath. 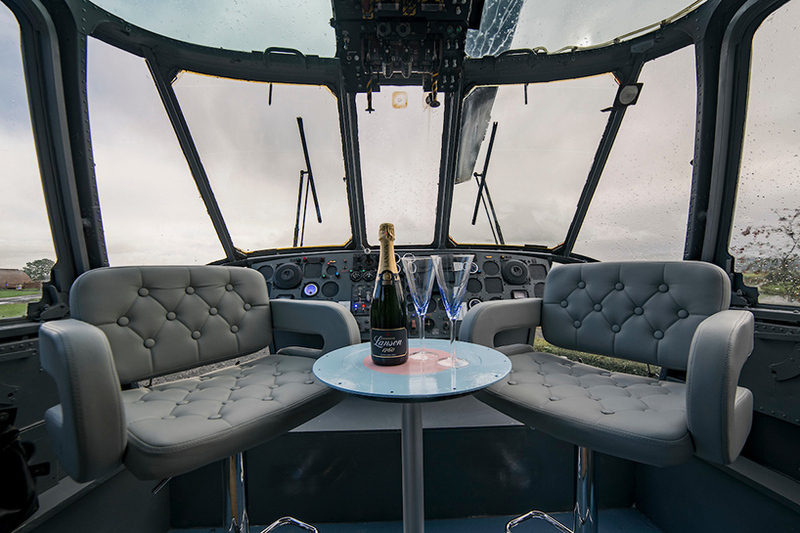 A dome and patio doors were added to admit natural light and the flight deck was kitted-out with comfy chairs. 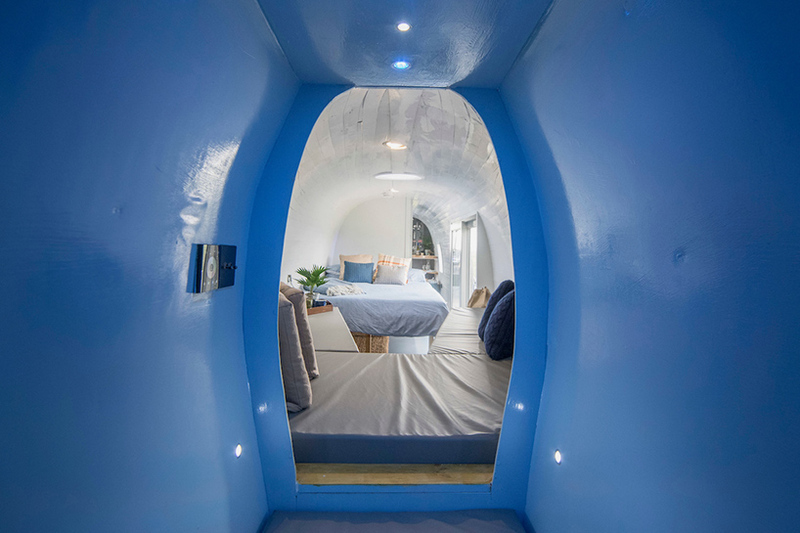 Rental feels start at £150 per night for this unique hotel room. More information can be found at this website. This entry was posted in Europe, Hotels, Tourism and tagged Camping, glamping, Scotland, Stirling. Bookmark the permalink.